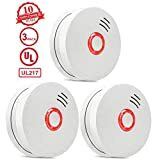 There are some options to consider when looking online for a home security alarm system that integrates the smoke detectors. Smart home enthusiasts, builders and homeowners have been demanding this option more and more over the years and want a professional installation service to match. Get home security and fire safety equipment for your home or business from Protect America and find out what kind of options are available. This post should help you get started. There are three main companies and services that provide these types of products and services. Protect America can work with you as a business or homeowner to find the appropriate solution. Each type of service is explained below, but note that Honeywell is the only manufacturer and has provided products in this industry for generations and continues to innovate, while the other two companies are newer. Honeywell’s contraptions for home energy and security have been innovative and stretch back decades to when they built the iconic round thermostats to control the temperature on the home furnace. 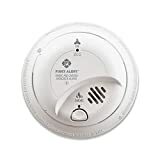 Their line of innovative smoke detectors are also worth considering for protecting your home or business. The Honeywell smoke detector line has both wired and wireless as well as heat and smoke detection. Nest is a company that was started by a couple of guys who worked for Apple Computers in California. They decided to build smart home products. Their new line of products includes smoke detectors that can integrate into the smart home and alarm system. This includes the Nest Protect line of products. Reviews of this product show that the product also works with several other smart home devices, the most of any in 2018 this comparison in fact. First Alert was also one of the systems reviewed in the comparison list, along with Kidde systems. The First Alert system will integrate this feature but for smart home tech, only works with Apple Homekit. The Onelink system is the one you are looking for. Don’t consider the BRK 3120B model for these advanced features. There are likely many other options to consider as well and many coming into the market in the coming years as this industry continues to grow and innovate with both startups and established players in the game as well. Protect America will be here, analyzing and putting these technologies to work for our customers. 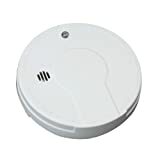 Call an expert to learn more about these home security and fire/smoke protection systems available from Protect America. Ask about custom solutions. Interested in professionally monitored smoke alarms and home security? Get a free quote from Protect America.